In my day job, I'm considered prolific but wordy. My former employer taught me to answer the question someone asked and the questions they should have asked. This training makes my writing verbose. When I recently read Ken Rand's The 10% Solution, I decided to try following its advice. Rand’s advice condenses to finding ways to make your writing more accurate, clear, and brief. 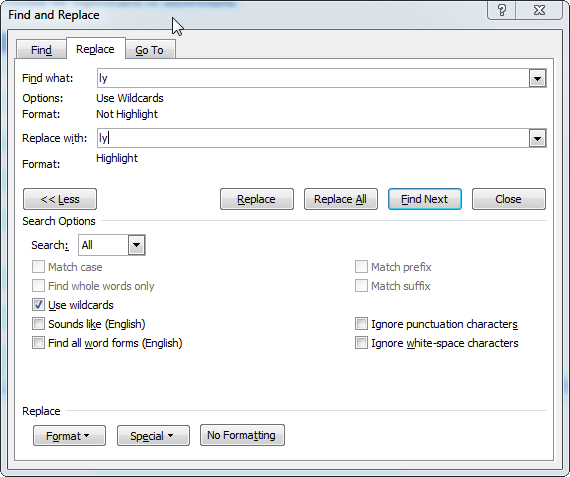 He provides a list of phrases you can search for in a word processor to highlight possible problems in your text. Adverbs can be redundant (as in “he ran quickly”) or indicate that a stronger verb is more appropriate (“he raced”). When used to describe quantity, it’s better to be accurate. Instead of “about a dozen,” tell the reader how many. Most of the time, words that end in “ing” are just fine. A small percentage of the time, the slow down the action or make the meaning unclear. Those are what you need to fix. Don’t use at the beginning of a sentence. It can sound pompous. As in “like a spotlight” – is there a better way to say that? Is it unnecessary or redundant? Is this the most accurate word? Is there a clearer word or phrase? If the word (and phrase it’s part of) pass the tests, leave it alone. Commas – These show what can be cut from a sentence, or where to split it. Widows – These are single words alone on a line or page. Shortening the text eliminates these. Print the Text – Seeing text in print can sometimes reveal flaws not obvious before. Read the Text Aloud – Reading aloud helps point out awkward passages that aren’t obvious when read silently. Get a Reader – Ask a trusted friend to read the material and give feedback. All these steps aren’t necessary for every document. It’s probably overkill to do this for an email to a friend. A report to your CEO, or a short story you're trying to sell, might warrant all of them. After mastering the techniques above, you may want to check out Textalyser. 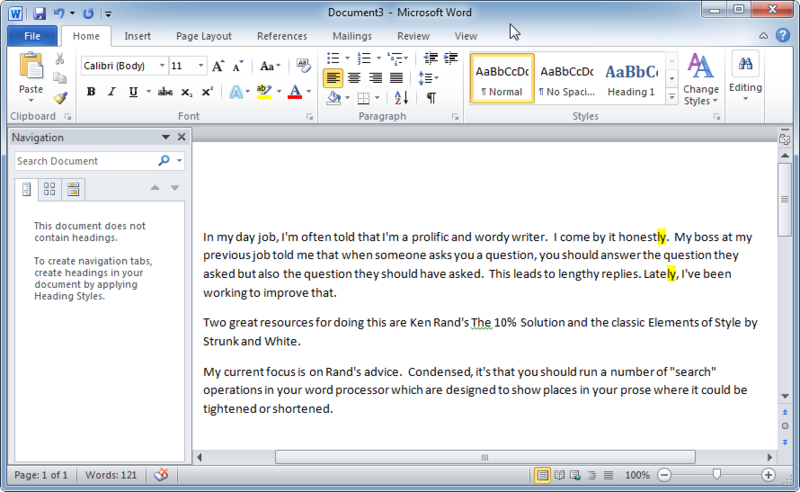 For any document or web page provided, Textalyser calculates statistics on its readability, word frequency, word length, phrase frequency, and other aspects. This information may help identify the phrases you should add to Rand’s list above.